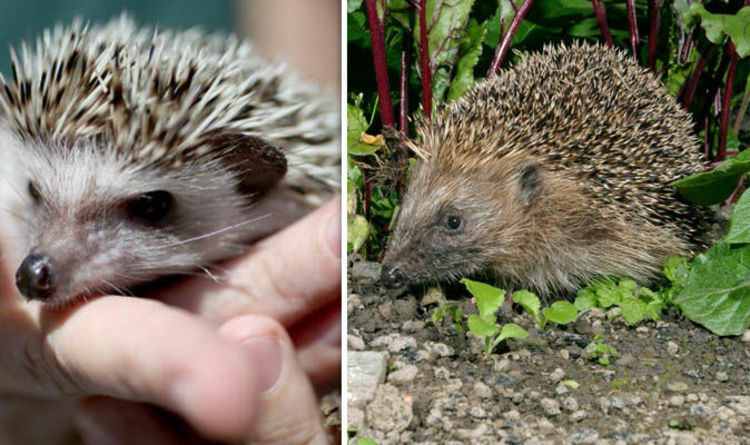 The reclusive animals may be in with a better chance in our towns and suburbs where numbers are slightly better, said the British Hedgehog Preservation Society (BHPS) and People’s Trust for Endangered Species. The State of Britain’s Hedgehogs 2018 report showed that in towns hedgehogs numbers dropped by one third since 2000 but their decline has slowed and in some areas they are even returning. In 1995 there were estimated to be about 1.5 million in Britain but now there are feared to be fewer than one million animals left. The nocturnal creature’s better performance in urban areas follows a long-running campaign, Hedgehog Street, by the BHPS and PTES. The study warns that rural hedgehog numbers are in “severe decline”, partly due to intensive arming. But it says there is hope in the form of grants for environmental friendly farming which the Government is planning to increase after Brexit allows it to escape from the EU’s Common Agricultural Policy. Emily Wilson, Hedgehog Officer for Hedgehog Street, said: “There are many reasons hedgehogs are in trouble. About 70 per cent of land in the UK is managed by farmers, BHPS and PTES are planning to work with the farming community to help protect hedgehogs. Ms Wilson said: “Farmers play a vital role in producing food, but they’re also well placed to help protect, maintain and enhance our countryside. “The Government recently reiterated plans to reform the EU Common Agricultural Policy to reward landowners for delivering environmental benefits. Measures which could halt the declines include providing more field margins, hedgerows and scrubby areas which create more habitat for the animals to live, nest and feed in. A trial putting wildflowers strips through the middle of fields to encourage insects which prey on crop pests to reduce pesticides could also benefit wildlife such as hedgehogs by providing them with more food, said Ms Wilson. She added: “Urban and suburban areas are becoming increasingly important for hedgehogs, so we need more people in those locations to sign up as hedgehog champions.